The area popularly referred to as Nigeriaâ€™s â€œfood basketâ€ has come under renewed attacks since 2015 and conflicts between herdsmen and pastoralist farmers have taken a deathly turn with increased attacks and the displacement of Nigerians from their communities. Apart from the fact that this is a new challenge for Nigeriaâ€™s overstretched security forces, these incidents have also led to an increase in food prices across the country. In the last quarter of 2018, analysts at the Financial Derivatives Company (FDC) projected that Nigeriaâ€™s inflation rate would increase marginally by 0.07 per cent to 11.35 per cent. According to them, the rise in the headline inflation would be influenced by increasing prices of food items in the country caused by insecurity in agrarian states of the Middle Belt; especially the farmers/herdsmen clashes in the Middle Belt region of the country which had led to a decline in agricultural output and an increase in the prices of commodities such as onions, pepper and melon. The insecurity in the region has been blamed on a number of factors which include increased desertification and the infiltration of the region by insurgents from neighbouring African countries. In July 2018, Nigeriaâ€™s President Muhammadu Buhari, speaking through one of his aides Garba Shehu, blamed â€œdisgruntled politiciansâ€ for sponsoring the attacks in the region and across Nigeria. But most security analysts and residents of the affected region blame the ineffective methods of conflict management and resolution of the Buhari administration for the crisis. The Chairman of one of Nigeriaâ€™s opposition parties, the African Democratic Congress (ADC), Chief Okey Nwosu, specifically blames the killings on Buhariâ€™s incompetence. According to him, â€œWhat is happening in the Middle Belt is the consequence of wrong planning and misdirected strategic focus and the insensitivity of the people in power.â€ The consequence of this has been a worrying number of deaths, with a 2018 report by Amnesty International showing that the Nigerian governmentâ€™s inaction has inadvertently fuelled impunity and resulted in attacks and reprisals costing at least 3,641 people their lives between January 2016 and October 2018. 57 per cent of these were killed in 2018 alone. With Nigeriaâ€™s presidential election less than a month away, Nigerians have begun to look for an alternative to the failure of the Buhari administration to curb Nigeriaâ€™s insecurity issues; especially those in the Middle Belt. Over 300,000 Nigerians have been displaced since the conflicts were renewed and most of these have been looking at the main opposition candidate, Alhaji Atiku Abubakar of the Peoples Democratic Party (PDP), to solve the challenges being faced in the Middle Belt. Atiku who is campaigning on a promise to get Nigeria working again, released his policy document late 2018 and says that he believes that Nigeriaâ€™s â€œsecurity is multi-dimensional. It has gone beyond armed defence to include protection of democratic and constitutional values like food security, peace, human, political and economic security. Resolving the unfair access to democratic dividends to reduce internal armed conflicts, insurgencies, crimes and militancyâ€. While speaking at Jos, Plateau State during a campaign stop, Atiku decried how much the insecurity in the Middle Belt has cost Nigeria, stating that: â€œPlateau is the economic hub of the Middle Belt, but insecurity has, over the years, forced it to lose that status.â€ He promised residents of the state that if elected president, he would restore peace to all parts of the state by dialoguing with all groups and critical stakeholders so as to restore the state to its status as the most peaceful in the country. A study by the Mercy Corps on the Effects of Farmer-Pastoralist Conflict in Nigeriaâ€™s Middle Belt on State, Sector, and National Economies found that Nigeria stands to gain up to $13.7 billion annually in total macroeconomic progress if peace between farmers and pastoralists is restored in Benue, Kaduna, Nasarawa, and Plateau States alone. The study also found that states affected by farmer-pastoralist conflicts lost an average of 47% of Internally Generated Revenue (IGR) due to these conflicts. According to Atikuâ€™s policy document, the objective of his government would be â€œto contain the current challenges of security in Nigeria through the deployment of good governance, visionary leadership and politics of inclusiveness that will reduce citizensâ€™ frustration and alienation and eliminate the compulsion to take up arms against the society or fellow countrymenâ€. He also intends to prioritise the restoration of citizensâ€™ confidence in Nigeria as â€œone indivisible, indissoluble, ethnically diverse but strong country to protect them and secure socio-economic benefitsâ€. Most importantly, he plans to tackle the issue of non-cooperation and coordination among security agencies through technology by using cutting-edge technologies to minimise duplication of efforts, guard against mishandling of information, and enhance information sharing. Atiku, who is a strong believer in restructuring the Nigerian political landscape, also intends to restructure Nigeriaâ€™s entire security sector and strengthen peace and security mechanisms in order to eliminate insecurity in different parts of the country. These plans, when followed through, will no doubt see an end to the crisis in Nigeriaâ€™s Middle Belt and through multiplier effects, improve the economic growth of states in the region. 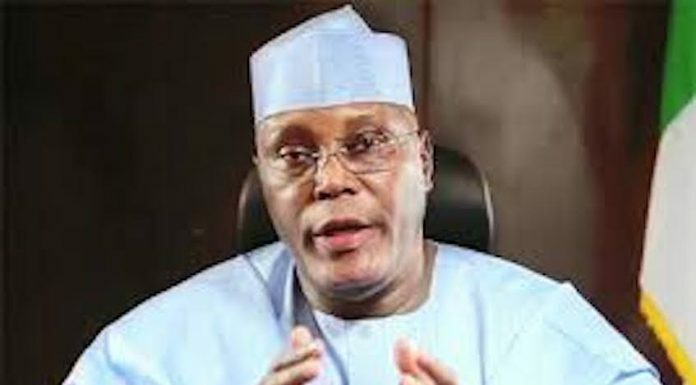 A public analyst, Majeed Dahiru, believes that Atiku has what it takes to provide a viable alternative to Nigeriaâ€™s present security challenges as he is â€œa statesman, (who) has demonstrated understanding for the need to restructure Nigeria in order to ensure every component does not feel less Nigerian than the otherâ€.